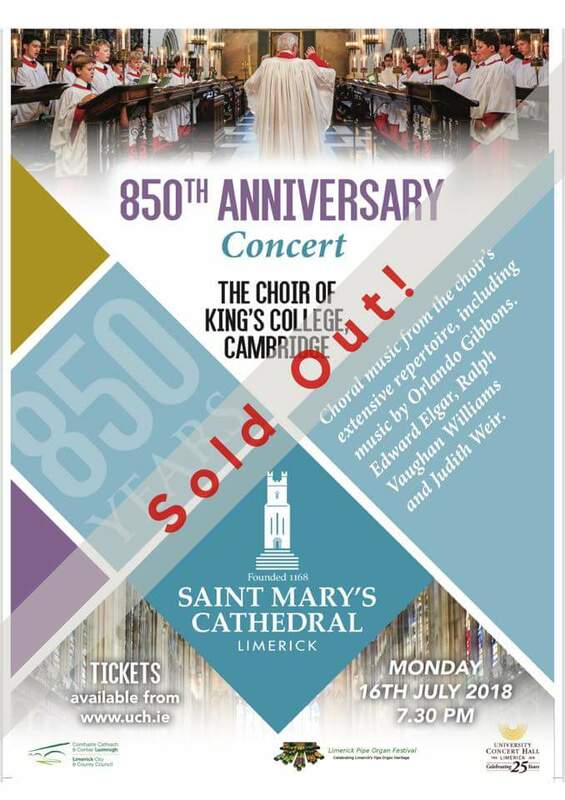 St Mary’s Cathedral is hosting some beautiful concerts as part of its 850th anniversary celebrations. This evening at 7PM, the University of Tennessee Chamber Singers present a concert of American and Irish music, including some well-known favourites. It promises to be a wonderful and fun evening of music! On Monday night, 16th July, the Choir of King’s College, Cambridge, directed by Stephen Cleobury, will perform great choral music from the choir’s extensive repertoire. The Choir of King’s College, Cambridge is especially known to millions worldwide through its annual broadcast of a Festival of Nine Lessons and Carols. 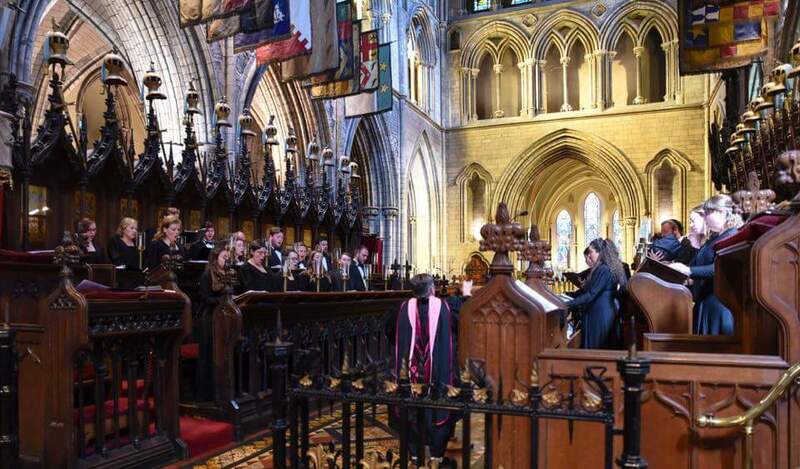 The Choir’s international fame and reputation, enhanced by an extensive recording catalogue, has led to invitations to perform around the world. The choir’s visit to Limerick is a wonderful occasion, and the highlight of the musical programme in this special anniversary year. 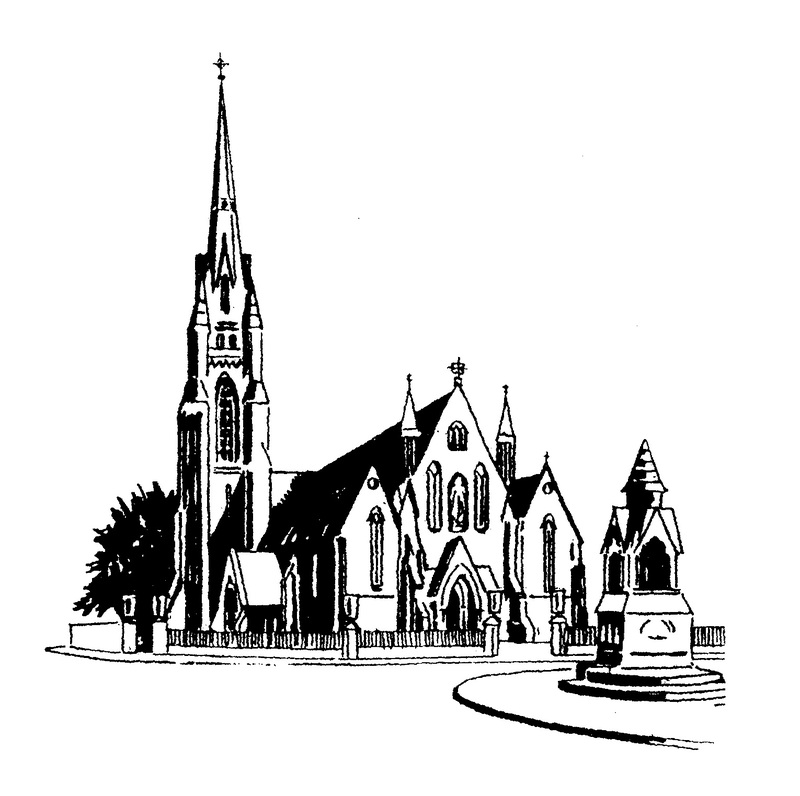 The choir will perform music by Orlando Gibbons, Edward Elgar, Ralph Vaughan Williams, and Judith Weir. The event is now sold out.